The Delhi subordinate service selection board (DSSSB) conducts every year written exam for the recruitment of various teaching and non teaching vacancies. It is a state level exam to do job in Delhi. The purpose of the recruitment by the DSSSB is to higher the highly skilled and capable people. This year also there will be vacancies in big numbers and it is the news the vacancies will be more than 14, 000. You can apply online through the official website of DSSSB that is www.delhi.gov.in. There will not be any aspirant who want to miss this golden chance. Millions of people are going to apply for these vacancies. But there are a lot of candidates who are not aware of the eligibility criteria for the post of TGT (Trained Graduate Teacher) and PGT (Post Graduate Teacher). 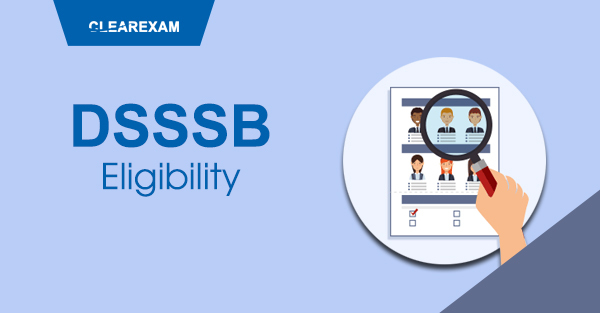 Here in this page you will get the whole information about the DSSSB Eligibility criteria, Age limit, and Academic qualification etc. for DSSSB 2019. 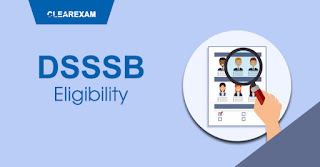 Eligibility criteria for DSSSB 2019 TGT and PGT post. The Nationality of the candidates should be Indian. Graduation/Bachelor Degree with minimum 50% marks form recognized university or institute. B. Ed. Or its equivalent with minimum 45% marks recognized with NCTE. Candidates may have qualified CTET (Central Teacher Eligibility Test) by CBSE. Candidates must have working knowledge of Hindi. Post Graduation/Masters Degree within the concerned subject from recognized university or institute. B.Ed. or its equivalent diploma/degree. The candidates who want to apply for the PGT post must not be above than 36 years by September 30, 2019. For the TGT posts candidates must not be more the 32 years by September 30, 2019. For the post of PRT candidates must not be more than 30 years by September 30, 2019. Before appearing in the examination it is obligatory to all the candidates to meet the DSSSB 2019 PGT eligibility criteria only then the candidates will be allowed to appear with in the written examination. Selection will be base on the written examination. Examination will be conducted into two tiers. The candidates, who will achieve good marks and meet the cut off, will be called for the document verification and when it will be verified, the candidate can get their offer letter. It’s compulsory for every candidate to fulfill DSSSB PGT, TGT and PRT eligibility criteria before applying otherwise their application form will be rejected or they can be banned to apply in DSSSB for the next examinations. Aspirants, you must remember that the price of success is hard work, dedication to the job at hand and determination to win.